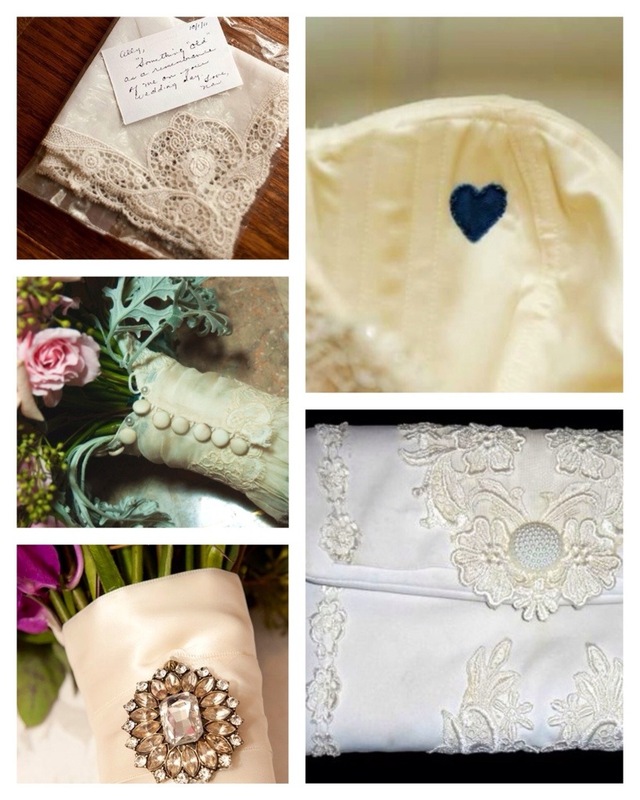 While we were on Pinterest today we came across a ideas we loved for your “something old”. The first we liked was using a family members handkerchief. This you could have monogrammed or you could just use it and pass it along to the next family member as a tradition. We also liked the idea of having a piece of someone who couldn’t be there. You could take a piece of material from a loved ones shirt (if you have someone that passed away, this idea we really like to have them with you). You could cut the material into a heart and sew it in your dress over your heart. If it’s blue as well, you could have it be your “something old & something blue). If you have your mothers, grandmothers, or future mother-in-laws wedding dress, you could have it turned it’s a purse for you to use. This is another idea that you could pass down your future children or to another family member as their “something borrowed & something old”. If you don’t like any of those ideas, you could incorporate your “something old” in our bouquet. You could once again use a piece of mothers, grandmothers, or future mother-in-laws wedding dress and have it wrapped around your flowers. Or you could used a loved ones brooch and pin it on your bouquet. We how this helps you with your “something old”. This entry was posted in New spin on old traditions and tagged bridal, bride, bride to be, event planning, marriage, northern ohio, serendipity weddings and events, something old, southeast michigan, wedding, wedding planning, wedding traditions. Bookmark the permalink.